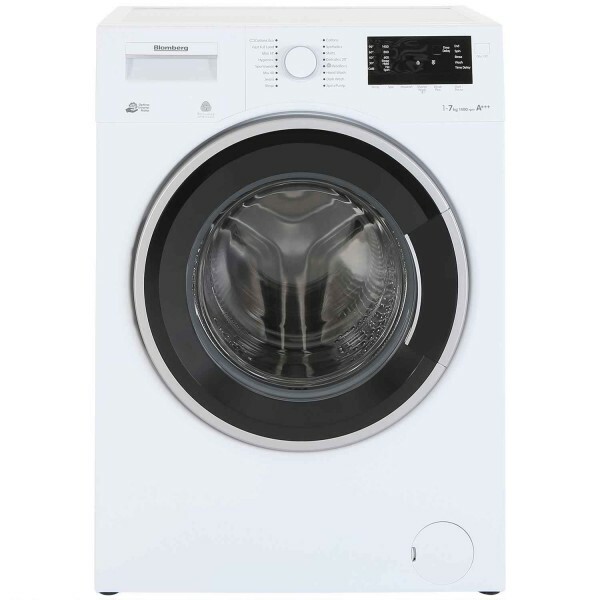 Product information "Blomberg LWF27441W Washing Machine"
This Blomberg washing machine brings together tailored washing and energy efficiency to give you a perfect wash whilst saving you money. A modern LED digital display shows the cycle time remaining, which makes it simple for you to manage your wash. The option is also there to delay your wash by up to 24 hours, allowing the machine to begin the cycle when it’s convenient for you. Well-thought-out design features such as the delay timer makes the task of doing the washing seem effortless, rather than a chore. Blomberg’s appliances are celebrated for their quality and the LWF27441W is no different. A three year parts and labour warranty for the washing machine and a 10 year warranty for the high performance Optima Inverter Motor give you that extra peace of mind. Related links to "Blomberg LWF27441W Washing Machine"
Customer review for "Blomberg LWF27441W Washing Machine"